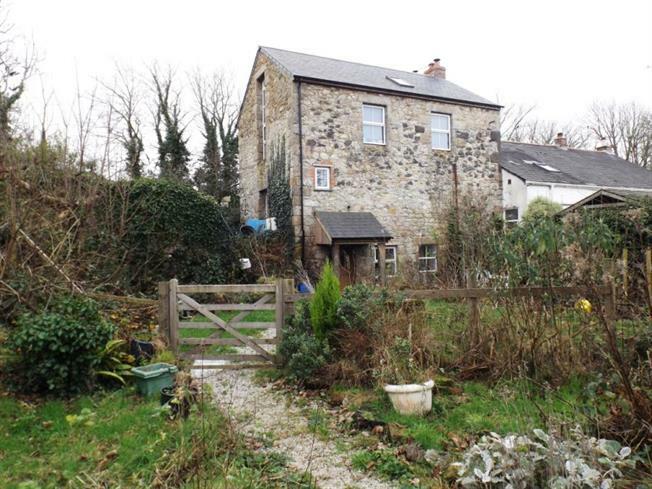 3 Bedroom End of Terrace House For Sale in Camborne for Offers Over £250,000. The most beautiful Old Mill is situated within an idyllic location with far reaching views. The property is set out over three floors and has so much character and charm but does require completing however, will give the new purchaser a chance to adapt the property to suit their needs. There is so much potential with this property with the lower ground floor having its own entrance and currently laid out to comprise its own kitchen, bathroom, lounge and bedroom. On the ground floor there are three further rooms, currently presented as bedrooms and a bathroom. To the first floor there is an open plan room with kitchen, w.c. and lounge and this room takes the full advantage of the views and has a wood burner and revealed stone walls. The property has a garden to the rear with parking area. The property is surrounded by fields and open countryside and is ideal for those looking for a property in a quiet location. Double doors opening into the entrance hall. Stairs to the first and lower ground floor. Double glazed window. Radiator. Stone wall. P-shaped bath, wash hand basin, Close Coupled w.c. and heated towel rail. One large room with large window to the side with delightful views. Two windows to the rear and two to the front. Long double glazed window to the side. Access to the w.c. Wood burner and two sky lights. Exposed stone walls. Fitted kitchen comprising wall and base units with stainless steel sink unit and drainer. Comprising a w.c. and wash hand basin. Stable door to the rear garden. Kitchen area - 2 x double glazed windows to the rear. Fitted kitchen units. Lounge area with wood burner. P-shaped bath. Close coupled w.c. Wash hand basin. To the front of the property the area is laid to lawn with access to the ground floor via double doors. The garden runs to the side. There is a side access lane and access into the rear of the property. The gated access opens into the garden where there is various outbuildings, greenhouses and a stream. There is further gated access into another garden where there are workings of the Old Mill. There is separate access to the lower ground floor. There is parking and also a carport.